This Valentine’s Day, let your heart guide you to Carluccio’s for authentically Italian gifts. Spoil the ones you love with an indulgent gift from the foodshop, from the classic chocolate roses to the adorable bag of chocolate hearts and the delightful Amore pasta. 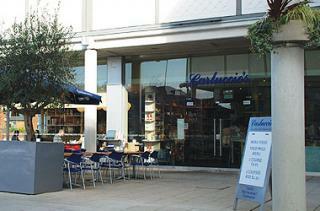 Available at Carluccio’s on Auction Street, Bury St Edmunds. Find the way to your lover’s heart in the kitchen. Buy in your nearest Carluccio’s restaurant or online with next day delivery from the end of January. Say Ti Amo with Carluccio’s!